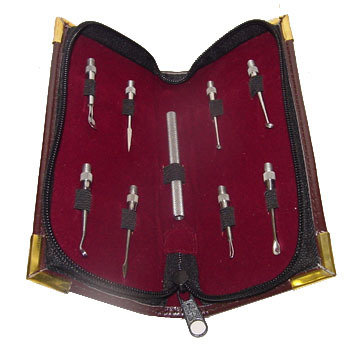 Cache Beauty Supply proudly offers a full line of Tweezerman © Products. 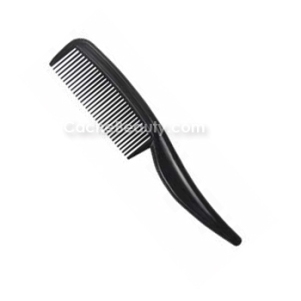 * Perfect for grooming mustaches, beards and eyebrows. 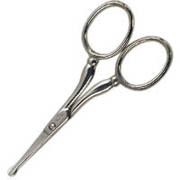 * Stainless Steel Scissors are 4" long and handles are 2" across. * This item would be a great gift! 25 Mini Combs tames the Wildest Mustache ! * Makes a Great Gift for Men ! * Ideal for keeping that mustache looking great ! For safe removal of nose hairs. 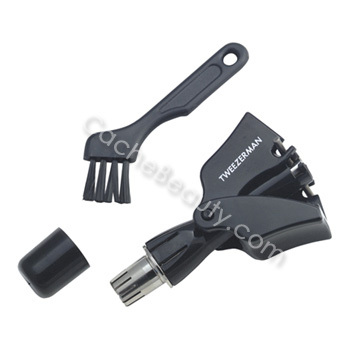 This popular men's grooming tool has rotating, recessed blades that never come in contact with skin. 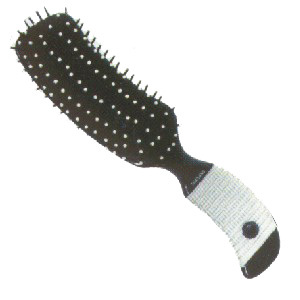 Can also be used for ear hairs. Hardened steel. 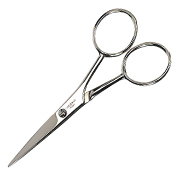 These scissors cut right at the point for precise cutting of hair in nose and ears. The blade curves away from the skin making it safer to use. Stainless. 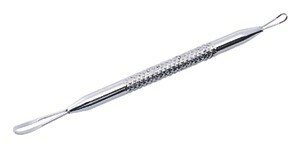 Straight, sharp blades with rounded tips for safety. Can also be used to trim beards. * Lancet & Ring in One Body. * For Removing Blackheads the Sanitary Way. 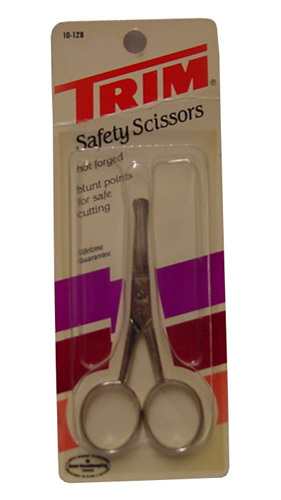 Trim Safety Scissors are precision formed cutting instruments, hot forged from quality steel, with perfectly ground edges to ensure a sharp, clean cut. 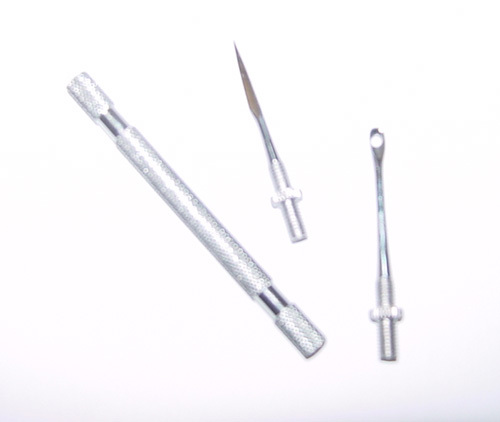 Blunt points ensure maximum safety when cutting hair or nails. Ideal for tender infants' nails.